8-2-Eat is my food-focused list series. A perfect Friday distraction. It's easy to get focused on turkey, stuffing and desserts when planning a Thanksgiving dinner, but it's just as important to throw in some delicious vegetable sides to balance the other heavier fare. Sautéed Parsnips with Dates and Spiced Yogurt. 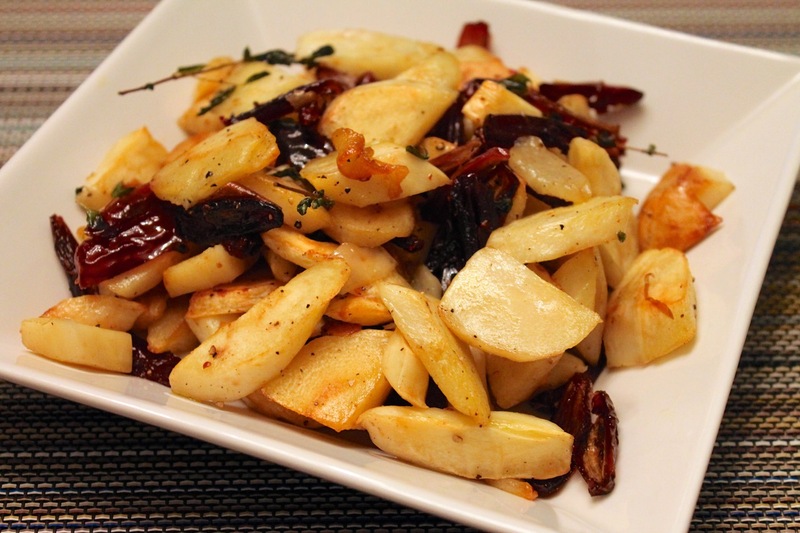 Parsnips are an increasingly popular root-vegetable alternative to carrots and potatoes. They add a wonderful dimension to a Thanksgiving dinner. Roasted Brussels Sprouts with Cranberries and Toasted Pecans. The nutty pecans and sweet dried cranberries in this dish add just the right notes to enhance the roasted Brussels sprouts. 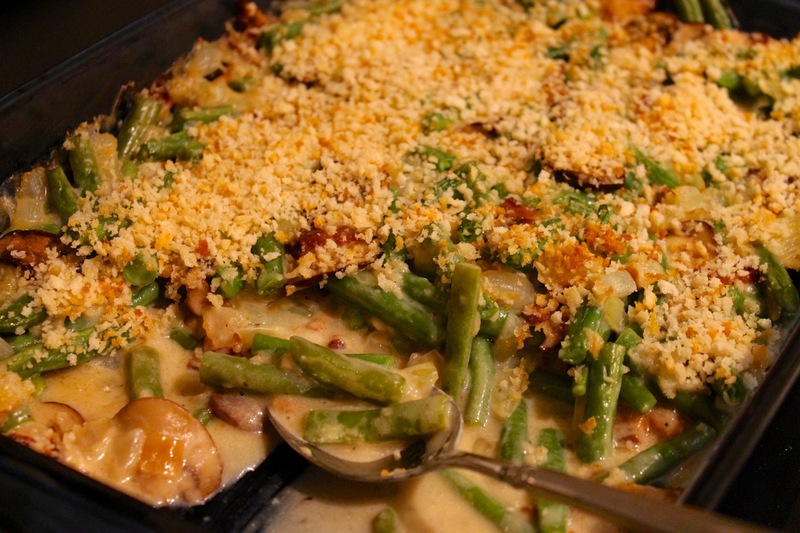 Green Bean Casserole with Bacon and Mushrooms. My attempt to "update" the classic green bean casserole with better, more flavorful ingredients. 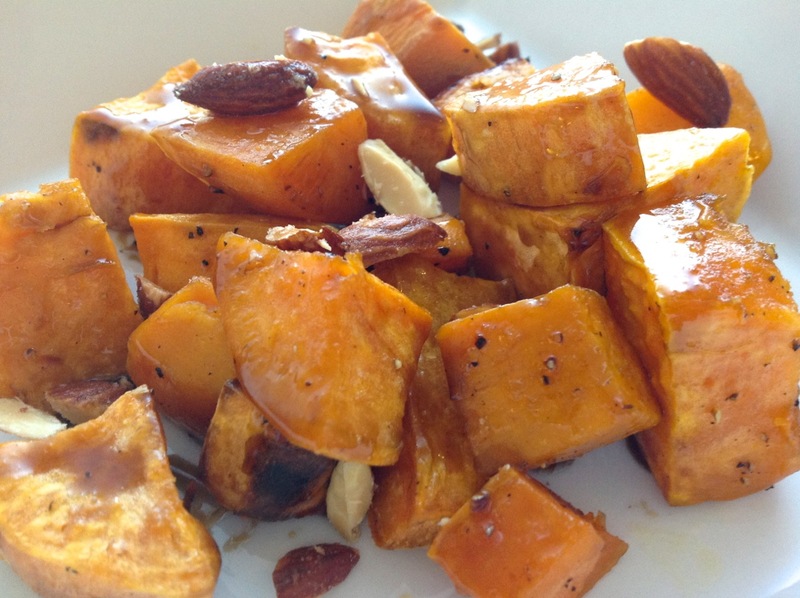 Roasted Sweet Potatoes with Bourbon-Maple Glaze and Smoked Almonds. This Bon Appétit recipe was a big hit when I made it a couple years ago. The bourbon-maple glaze is addictive. Swiss Chard Gratin. A gratin is a clever way to sneak a vegetable into a Thanksgiving dinner, given that they often involve melted cheese and buttered bread crumbs. Actually, this is possibly a way to sneak another rich dish onto the table as a "vegetable" side, but I'm not going to tell if you won't. Honey-Ginger Glazed Carrots. One of the great benefits of this delicious dish as a Thanksgiving side is that it's made on the stove, steering clear of the oven that often can get quite crowded on the big day. Green Beans with Bacon, Blue Cheese, Pecans and Dried Cranberries. Bacon and green beans are a classic pairing, to which the addition of blue cheese, pecans and dried cranberries makes the dish even more special for Thanksgiving. Apple, Manchego and Pecan Salad. A simple salad to add some fresh leafy greens to the table.